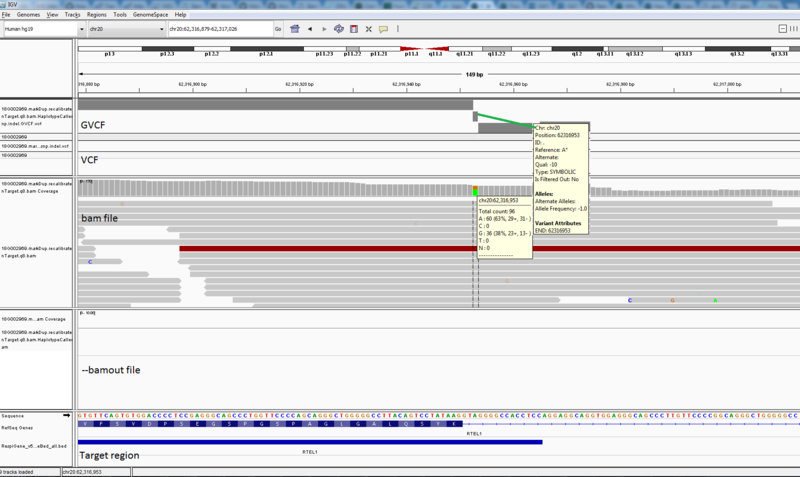 GATK v4.011.0 haplotype caller is missed to call this SNP. 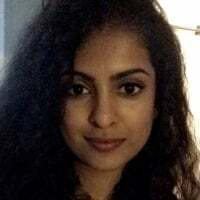 I have tried various parameters like (--allow-non-unique-kmers-in-ref, --kmer-size 10, 25, 35 ), but no luck. All base & mapping qualities of the non-reference bases are looking good. 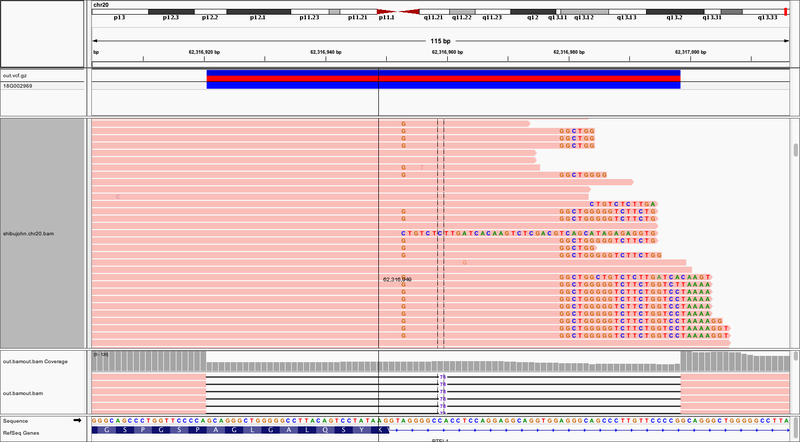 This is the output of the HaplotypeCaller GVCF. But GATK v3.2 UnifiedGenotyper have detected this variant and pass the filters. Any idea why this SNP was not called by HC? The deletion you see is correct. Is the variant covered in the interval bed? Also it would be helpful to see the IGV view of bamout for the region. Yes, this variant is covered in the interval bed and there were no reads in --bamout file for this region. 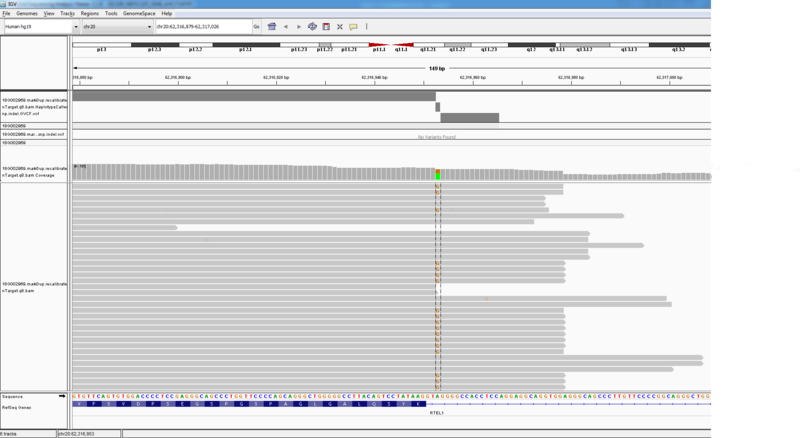 Have a look into the IGV screenshot. I agree with you this is weird. Would you please send us an IGV screenshot where we can actually see the reads with the alt base, just to make sure there's not something obvious where all the reads which support alt are very bad or something. Also would you please run just this region (so like -L 20:62316800-62317100) with the -debug flag, and send along the resulting stdout. Beyond that, if you are willing to send along your input bam (or even just chr20 of your input bam), we can try to do more debugging here. Instructions to send us your data can be found here. 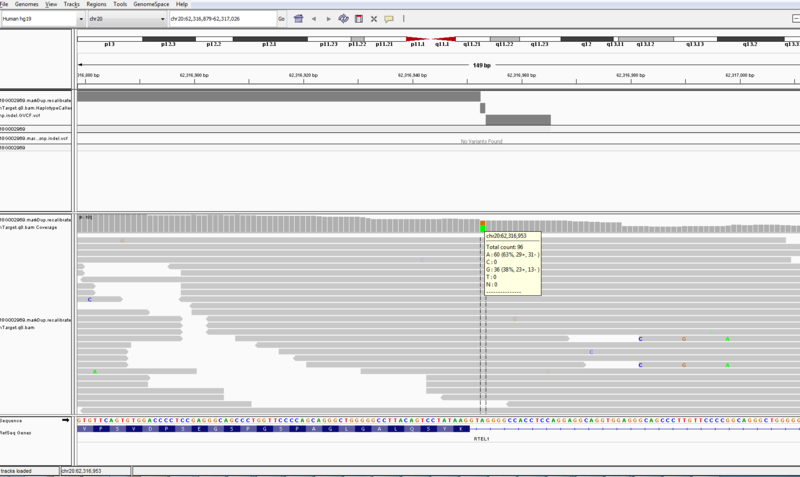 Have a look into the IGV screenshot with alt base. And I run pipeline with -L 20:62316800-62317100 and I can see this deletion. Please find the attached the --debug stdout file and I have uploaded this file (shibujohn.chr20.bam.zip) into the ftp server.